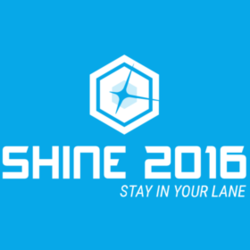 Shine 2016 was a tournament for Super Smash Bros. 64, Melee, and Super Smash Bros. for Wii U. It is the first national tournament to be hosted in the city of Boston, Massachusetts, as well as the region of New England as a whole. It was greenlit on March 20th after raising $15,000 in less than a week after being announced. Notable Smashers who attended the event include Hungrybox, Shroomed, SFAT, SuPeRbOoMfAn, Plup, Mango, Swedish Delight, ZeRo, and Mew2King. Fundraising also contributed towards the introduction of an amateur bracket and a side tournament. During the Smash Wii U portion of the event, Dath notably placed 3rd out of 483 people using only Robin. In Round 2 pools, he sent Marss ( ) to loser's and advanced to Top 32, and then defeated the Circa eSports duo of SuperGirlKels and 6WX (both ) back to back in order to advance into Top 8 in the winner's side. Dath would then face the eventual winner of the tournament, ZeRo ( ) and be sent to the loser's bracket. Dath would then go on to eliminate Larry Lurr ( ), and then double eliminate 6WX only to be eliminated by ESAM ( ). Dath has shocked many viewers with his performance, having defeated characters considered significantly better than Robin. Mafia was DQed in Losers. This page was last edited on August 27, 2018, at 03:25.